Amy’s Office Hours: Monday—10 am-12 noon Truman SUB; Tuesday mornings—volunteer chaplain at hospital; Wednesday—1 – 3 pm Truman; Thursday 1:00 – 3:00—Caffiend. You may also contact the Rev. Amy by email (amy.fallon08@gmail.com) or phone (815-901-3614). February 10thPlate Offering”: The plate offering this Sunday will support the Episcopal Historically Black Colleges and Universities, known as HBCUs. Congregations and individuals are urged to dedicate the offering from their observance of the Feast of Absalom Jones (February 13) to support the two Episcopal HBCUs: St. Augustine’s University in Raleigh, N.C., and Voorhees College in Denmark, S.C.
Children’s Items Needed: With the growing number of children and families now coming to Trinity, we have need of a high chair or two and booster seats. If you have any of these items or know someone who does, and can donate them to Trinity, please speak to Amy or e-mail her at amy.fallon08@gmail.com. Christian Community Food Depot: We need a volunteer who could tabulate and deliver the food we collect weekly at the back of the church for the CCFD. This involves some tabulation and monthly hauling in your vehicle. If you are interested, please tell Rev. Amy. Cleaning Crew: We have a wedding/reception scheduled in our church on February 23. Would you be willing to contribute an hour or two of your time on either Thursday afternoon, Feb 21 or on Sunday afternoon, Feb 17 to help clean up the church? Please let Diane Johnson know if you are interested. 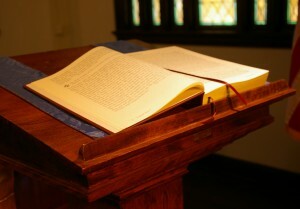 Bible Study on the Book of Psalms: on Tuesday nights from 6:30 pm – 7:30 pm until February 26. All are welcome, come when you can, bring a friend! A Vision for Lent: please join us for the Trinity Retreat Day on Mar 2 from 9:30 – 2 pm. We will let our creative sides guide us to create a vision board for our spiritual lives and use that as a basis for our Lenten disciplines. Please bring a brown bag lunch, beverages and dessert will be provided. Free, but free will offerings will gladly be accepted if you are able to do so. Food Depot: Peanut Butter & Jelly; Cereal (regular sized boxes only). The deadline for next week’s WHAT is Noon, Thursday, February 14. Please send items to BOTH Kevin Minch at kevin.minch@gmail.com and Natalie Alexander at faymie@gmail.com so that any relevant updates may also be included in the bulletin insert. Please be mindful of the deadline when possible. Thanks!